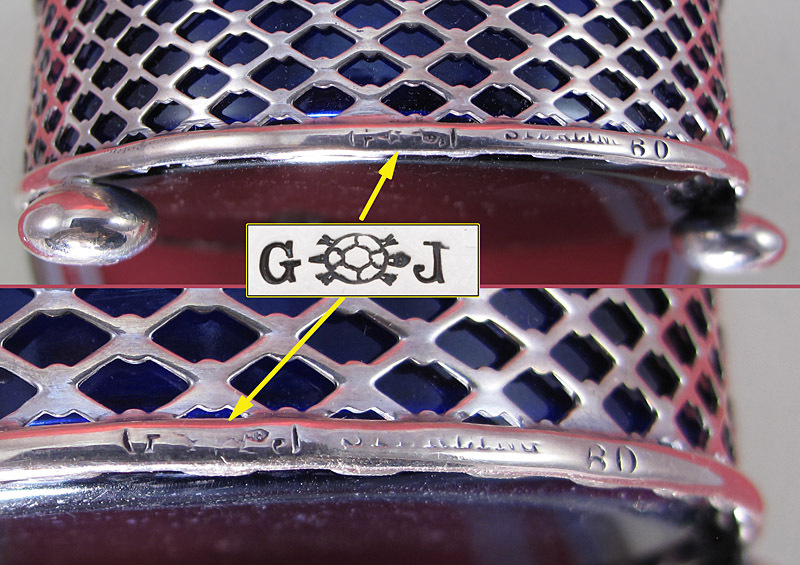 Goodnow & Jenks established in 1893 was one of the principal silverware manufacturers of its time in Boston. 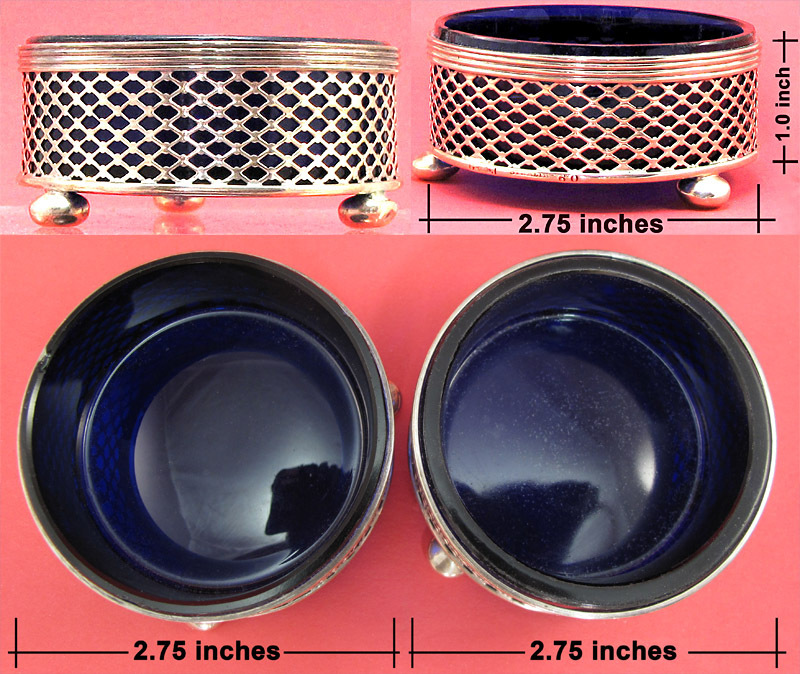 This pair of pierced open work sterling salt cellars sit on balled feet and come with cobalt blue glass liners. One of the glass liners has a small visible chip (see: photo) as well as 3 minor glass dings and one of the salt cellars has minor dimple on two of the sterling feet. 2.75 inches in diameter. 1.125 inches tall. 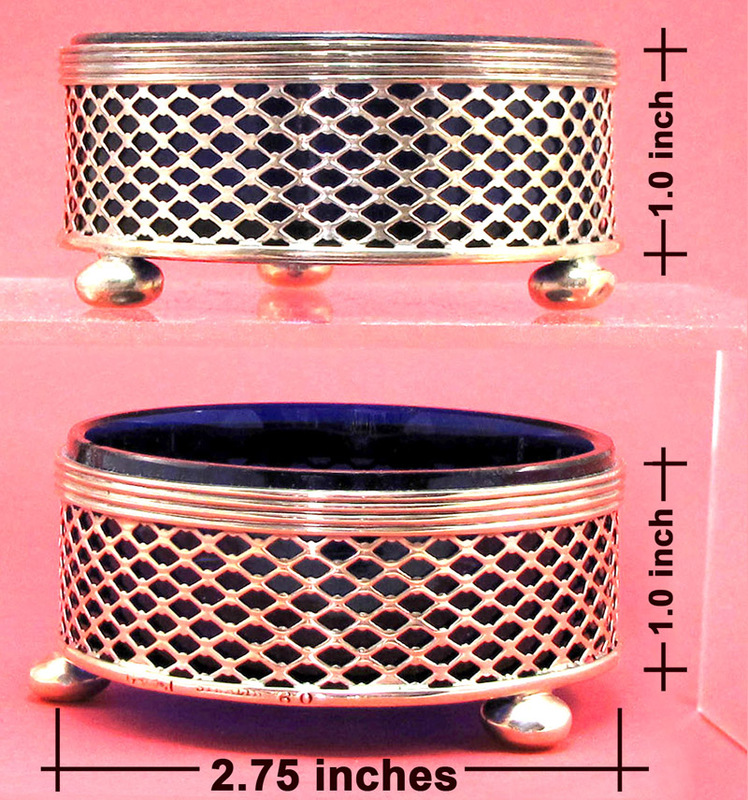 Size each 2.75 inches in diameter. 1.125 inches tall. Weight Silver: Avoirdupois: 3.88 ozs. Weight colbalt glass: Avoirdupois: 7.10 ozs.